From the bestselling illustrator whose friendly take on science has revolutionized our understanding of everything from the periodic table to the universe, comes a fresh take on creative writing as only Basher can do it. Meet Plot, one of the many 'Schemers and Dreamers' who keeps a story running and its events moving in the right order; Atmosphere, known as a 'Scene Setter' because her job entails filling a scene with suspense, drama, or comedy; a cast of 'Heroes and Villains' including Protagonist and Narrator; and chatty, talkative Wordsmiths like Dialogue to name one in particular. 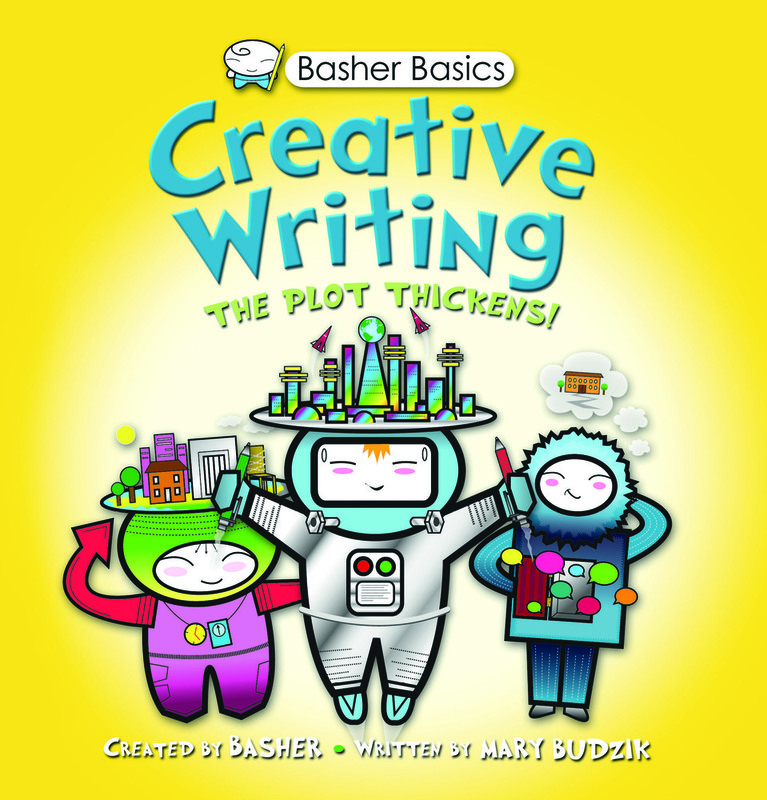 Basher Basics: Creative Writing is a persuasive guide that includes tons of detail on the building blocks of narrative and what makes creative writing work.